Commercial – University Electric. Inc.
We provide commercial electrical wiring from the ground up construction projects, power and distribution, commercial tenant improvements, retail stores, remodels and renovations. We also do lighting maintenance contracts, parking lot lighting repair, electrical repair, and commercial lighting retrofits services. Whether you’re looking for a commercial electrical contractor for new construction, design-build, tenant improvement project, we can assure you; our estimators will provide you with a reasonable competitive price for any commercial electrical project. Expanding your workspace or moving into a new building which needs efficient power distribution but the problem is you’ve got 480v and need to step down the voltage to 120-208v. We install and replace transformers and distribution panels. To meet your power requirements. Have a large or small tenant improvement or renovation? Or adding a wall or two and moving some lights around? Our commercial electricians work efficiently and safely to get the jobs done up to NEC electrical code. Saving you the headaches knowing the job is done correctly. We understand how critical it is in maintaining a data center. We are highly experienced in this area and can efficiently maintain, and perform repairs on assigned electrical systems in data centers and other critical services facilities. 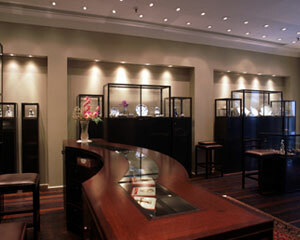 Commercial lighting retrofits (T-12′s to T-8′s) fluorescent lighting or more efficient LED lighting fixtures. We also provide lighting maintenance which Includes: ballast replacement, replacing bad lamps, replacing defective lighting contacts, timers, and photocells.